I don’t know about the rest of you mommies, but after I had my daughter, my personal appearance & sometimes my hygiene kind of went out the window. After her birth, I would go days without being able to shower, I did my makeup less frequently, I bit off all of my long beautiful nails & I found myself wearing old grungy clothes. Many of my clothing pieces such as bras & socks were falling apart, but I continued to wear them. 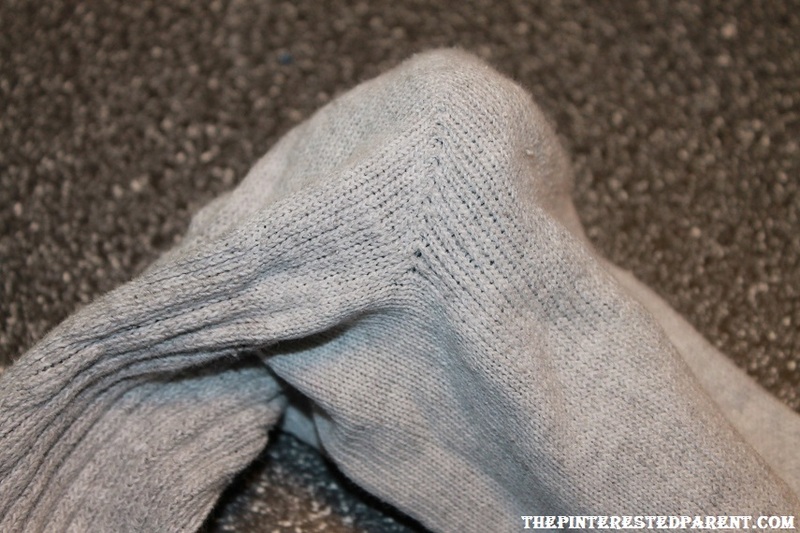 I found myself in a pair of my old holey socks the other day. Check out the chipped off nail polish on the toe that is popping out. Classy! 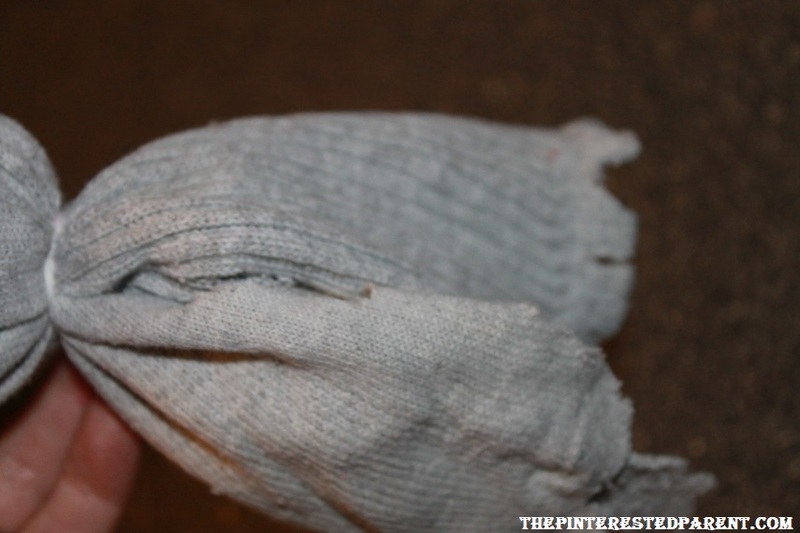 I decided it was time to retire these socks, but these days I have a hard time throwing away anything. It seems that everything has a crafty possibility. Ask my husband, we have random empty containers & crafting odds & ends all over the house. 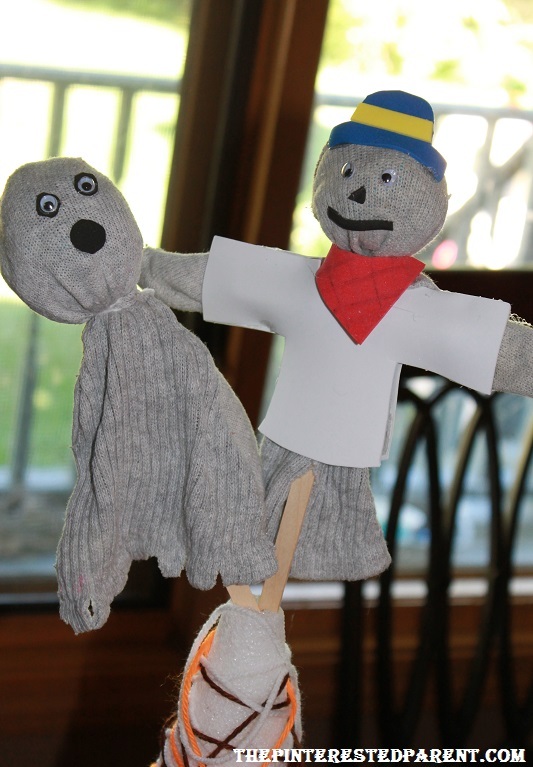 We planned to turn this sad pair of socks into sock puppets. 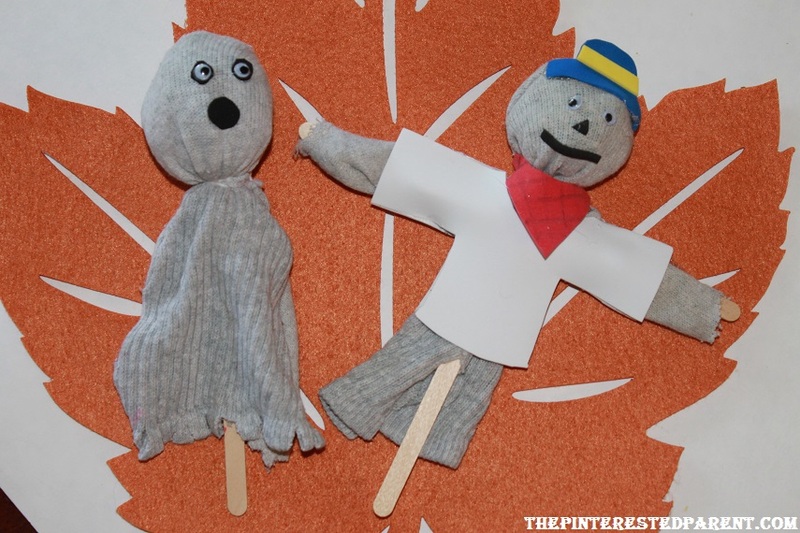 We decided to continue with our fall & Halloween themes & make a scarecrow and a ghost. 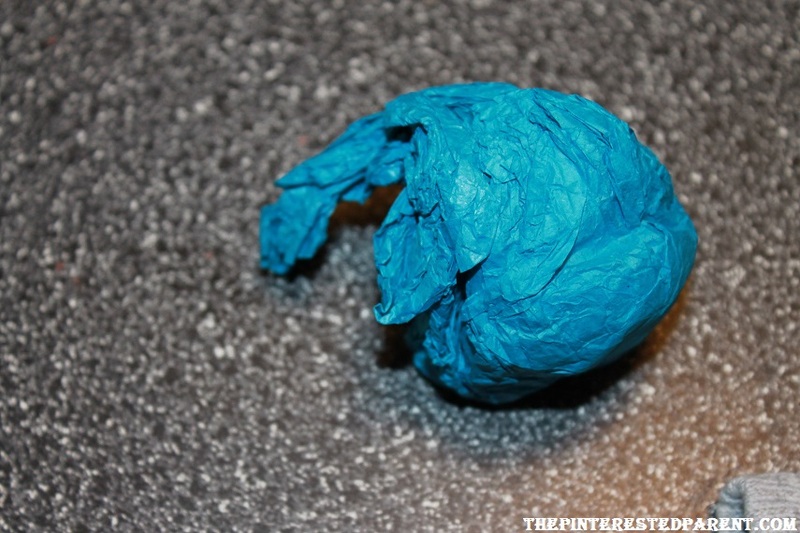 Crumple up a sheet of tissue paper. 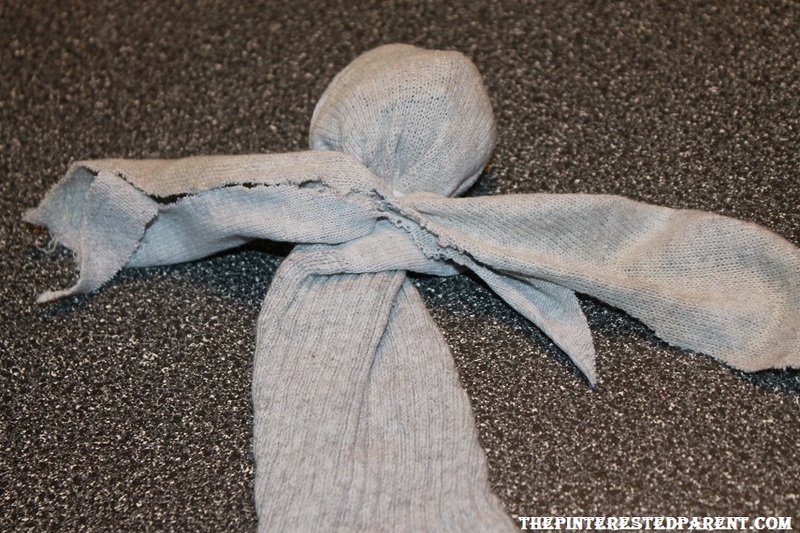 Stuff the tissue ball in the heel & fold the sock in half, so that the top of the sock & toe end are dangling below at even heights. 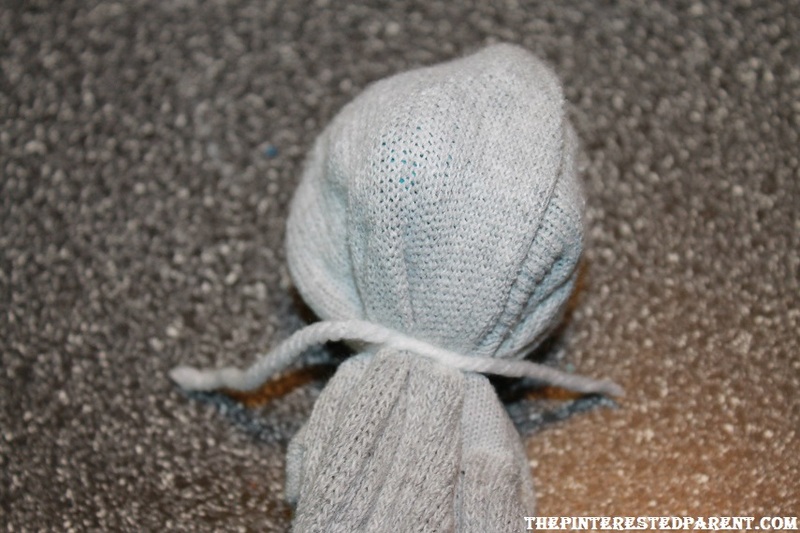 Use a strand of yarn or a rubber band & tie off under the ball to form the head shape. 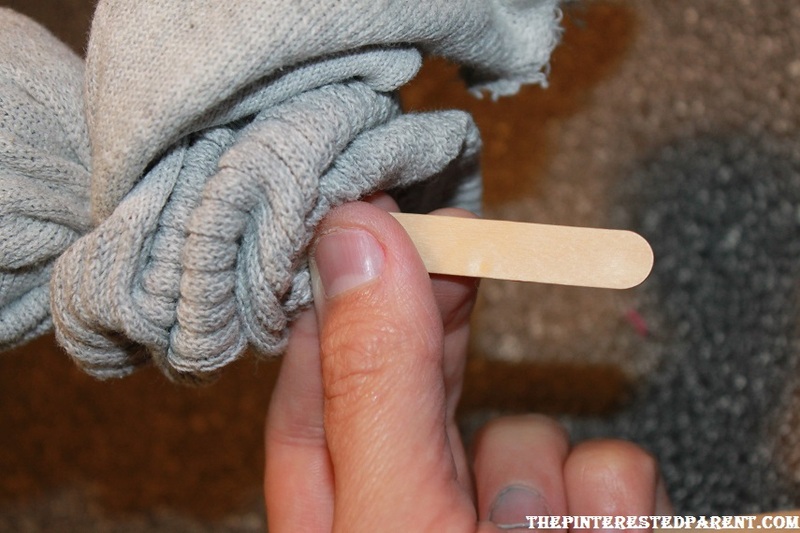 Stick a popsicle stick up the open end of the sock. 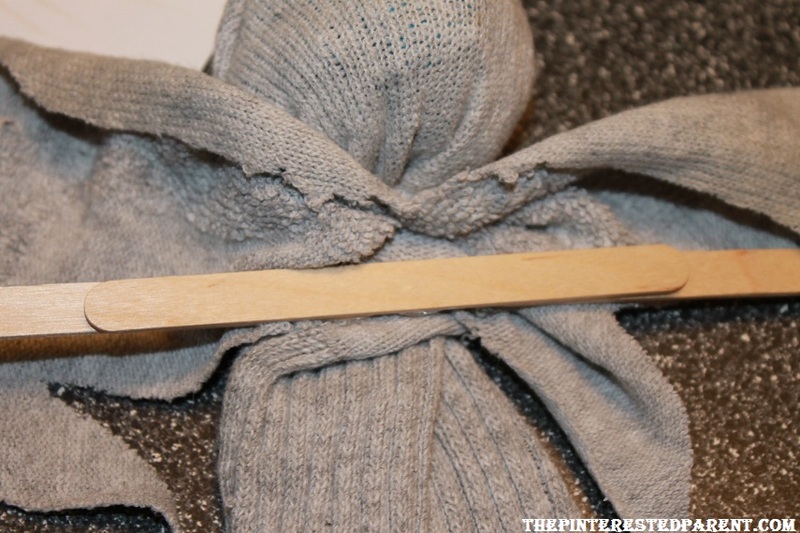 With a glue gun, glue a second stick to the first to lengthen your stick. 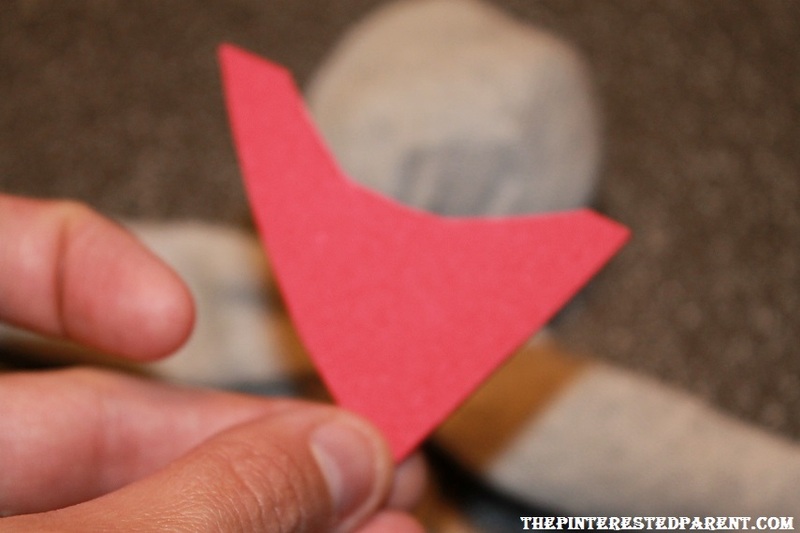 Cut the other dangling toe end portion up the center until you reach the head. Spread the splits ends out to the side so that they look like arms. 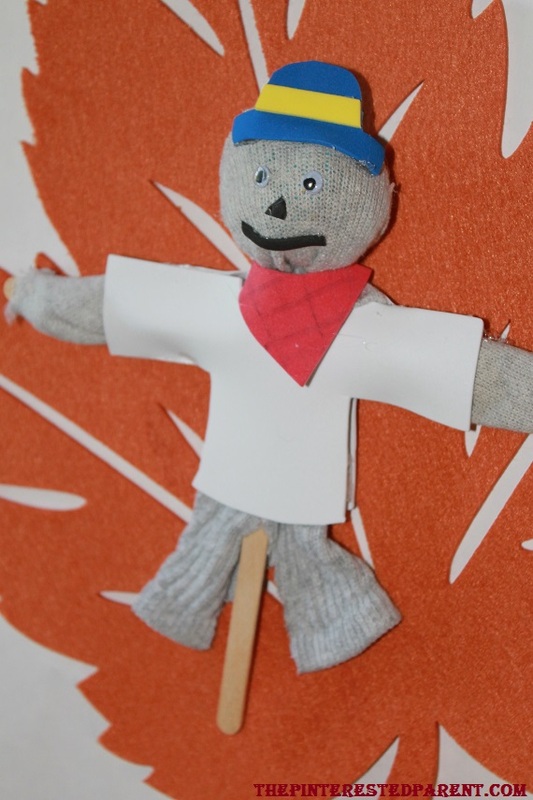 Glue two popsicle sticks to the center of the scarecrow over the spread arm fabric, as shown. Glue another stick over the top for added stability. 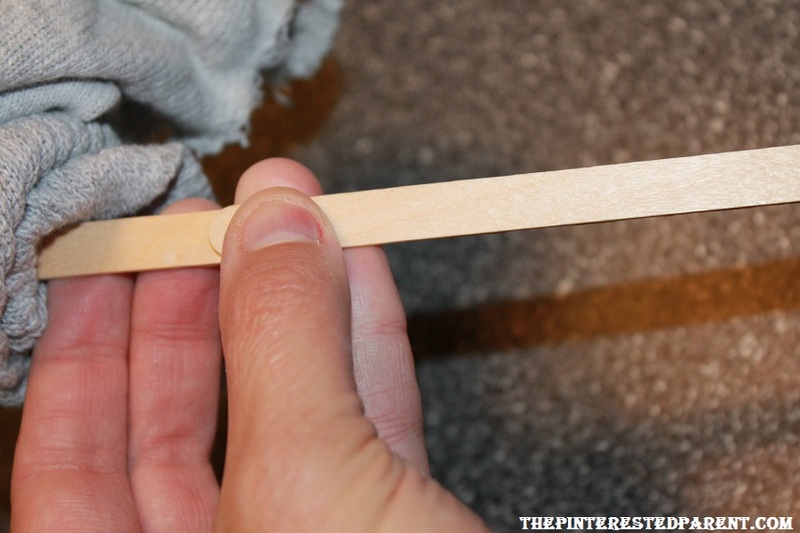 Fold the cut fabric over the popsicle sticks & glue in place. 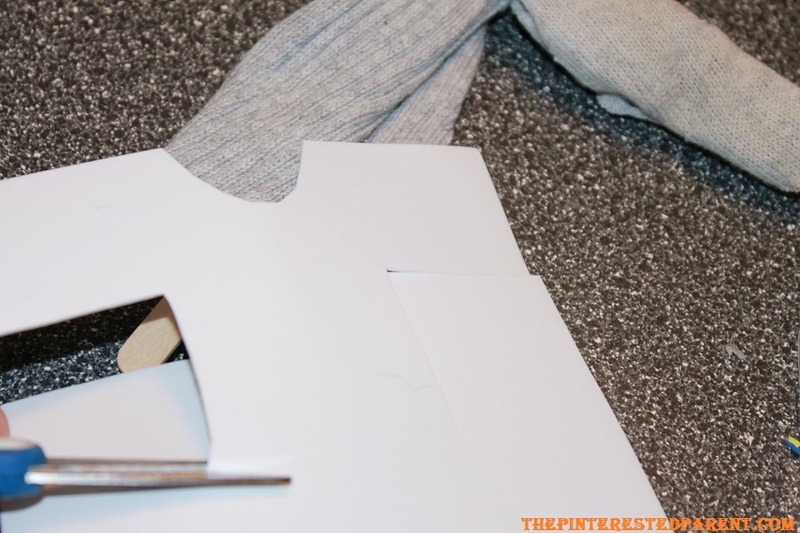 Cut out a piece of foam to use as a scarf. Set aside. 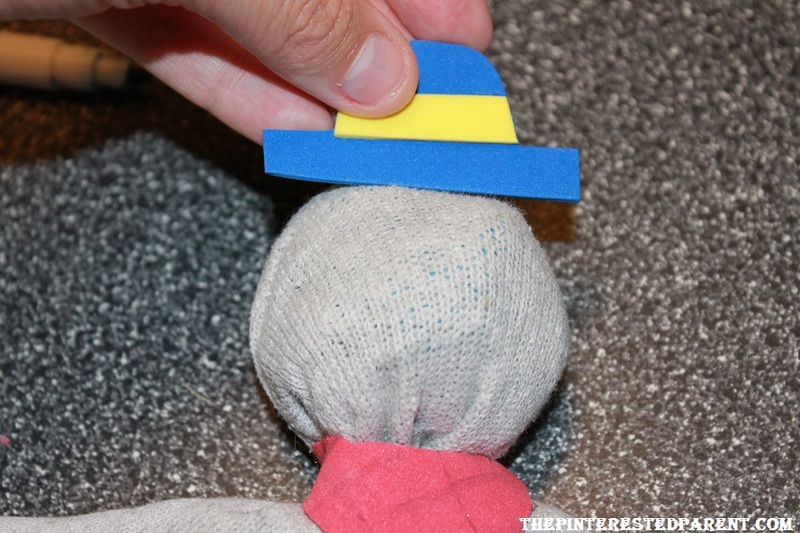 Cut out a hat & glue to the top of the head. 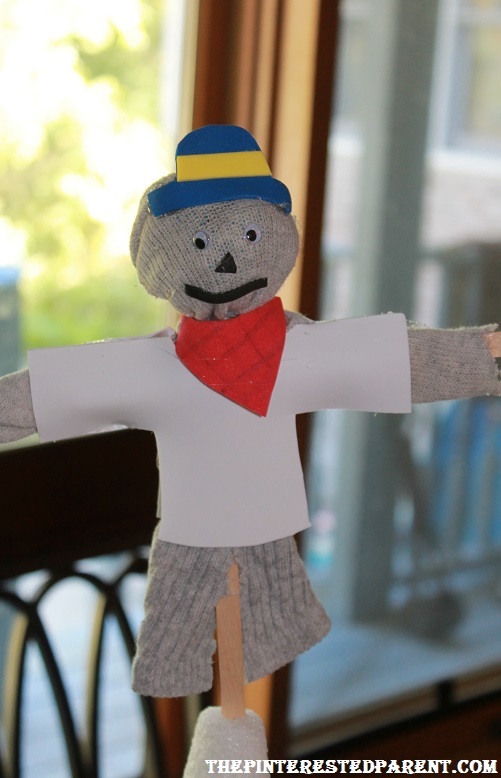 Cut out a front & back piece of shirt for the scarecrow. 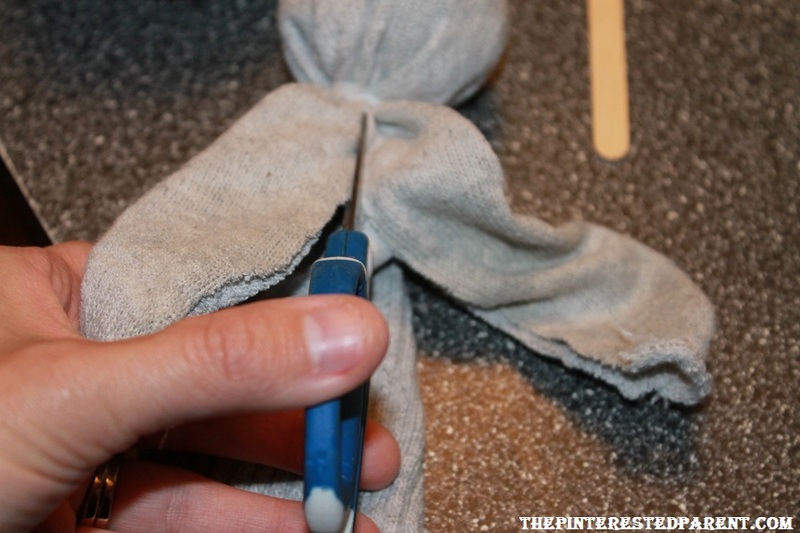 Be sure to cut it so that there will be enough space on the edges to glue & join seams around the doll. 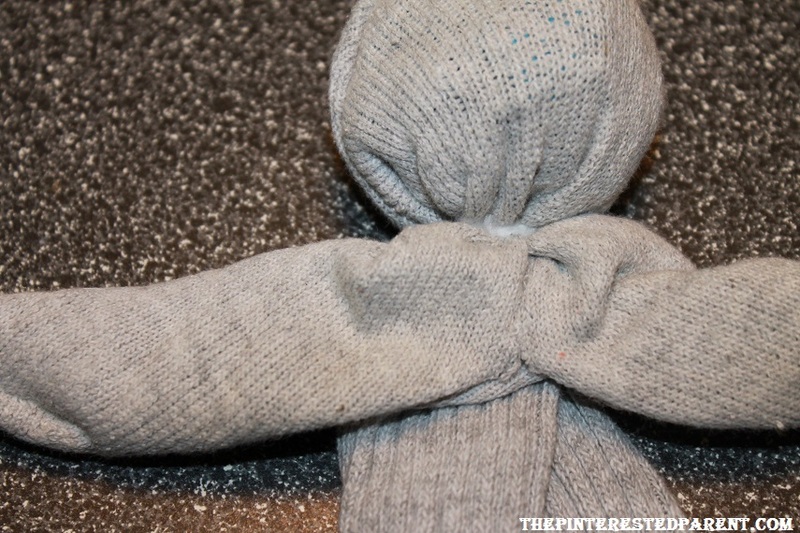 Cut the bottom portion of his sock up the center to give the appearance of pants. Add a triangle nose, a foam mouth and add googly eyes. Follow steps 1-3 from above. 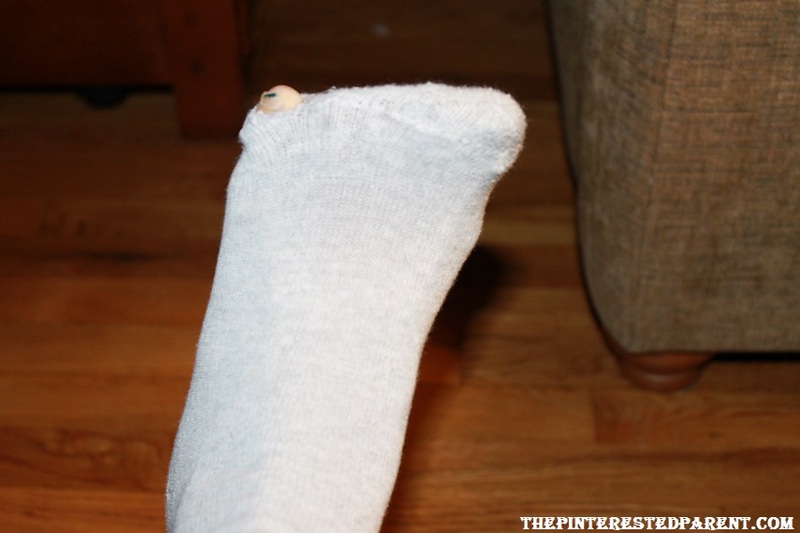 Cut the bottom of the toe end of the sock so that both sock ends are open. 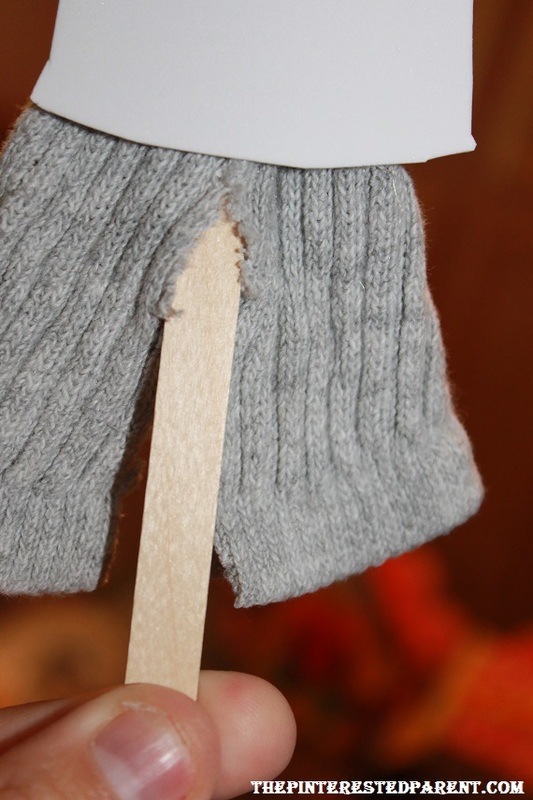 Cut up the side on both sock ends & then cut jagged edges into both bottoms. 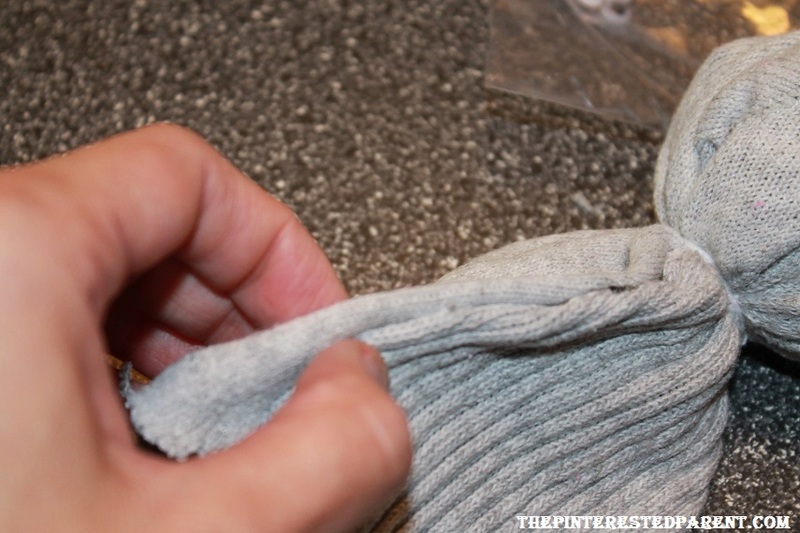 Join the sock seams on both sides so that it creates one large piece that dangles below the head. 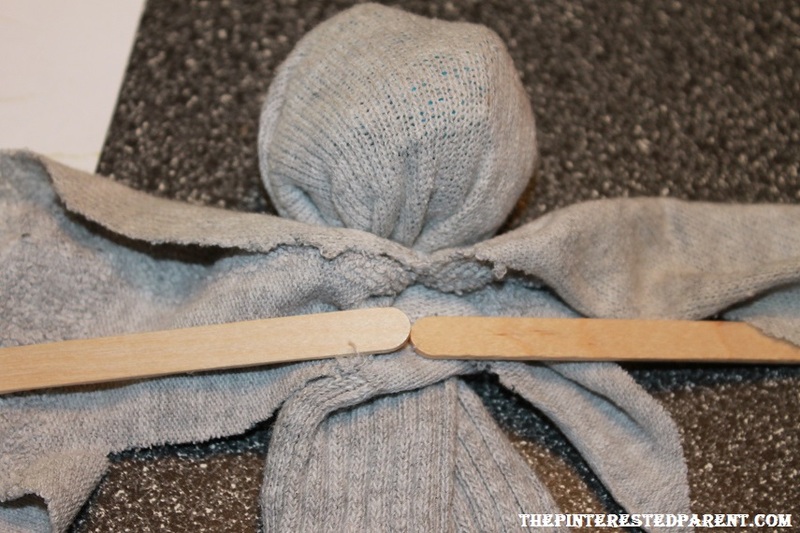 Add two connected popsicle sticks up the middle into the head the same as above. 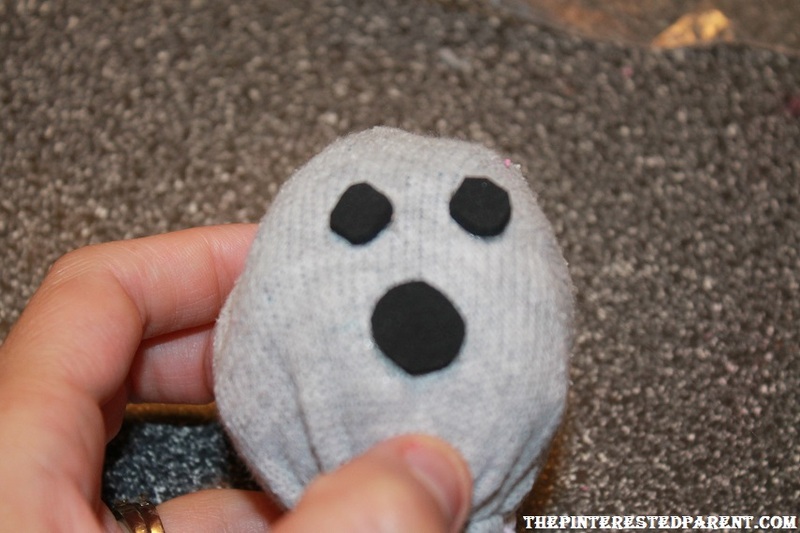 Cut out two tiny foam circles for eyes & one larger circle for the mouth. 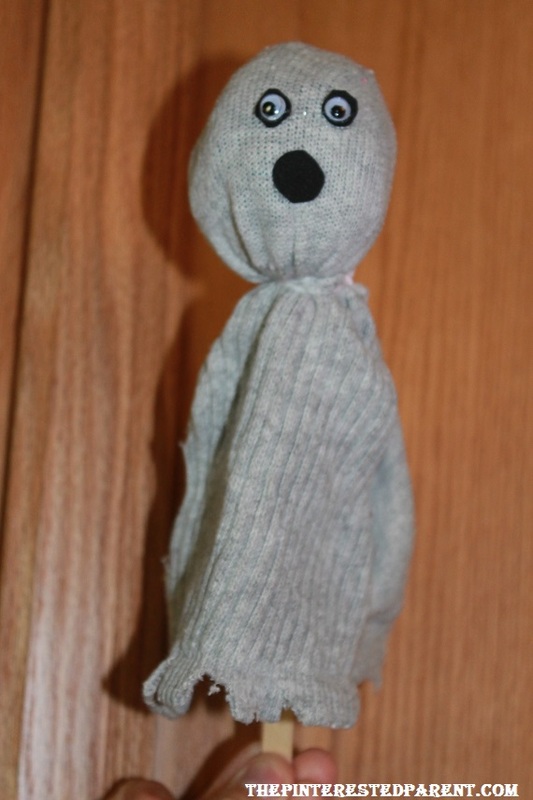 Add googly eyes to the middle of the eyes. 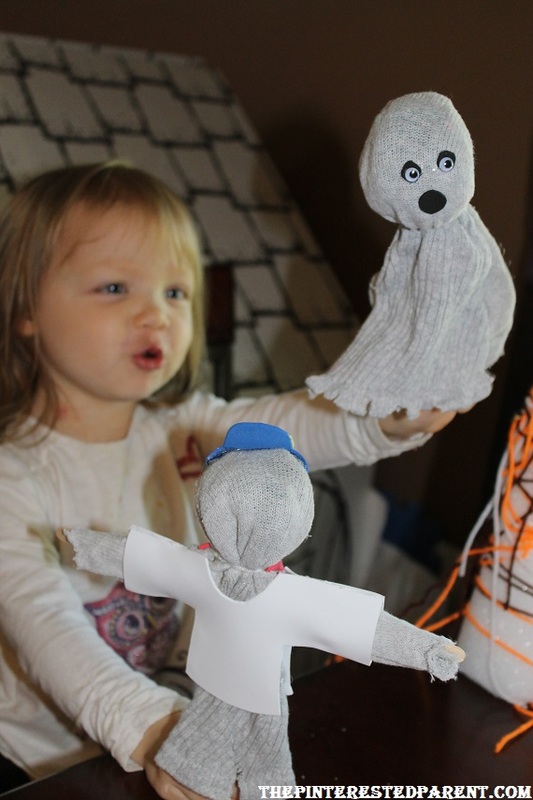 Mai had fun with her new scary puppets. “Booooooooooooo, mama. I scare you.” She asked me for a Jack-O-Lantern too. 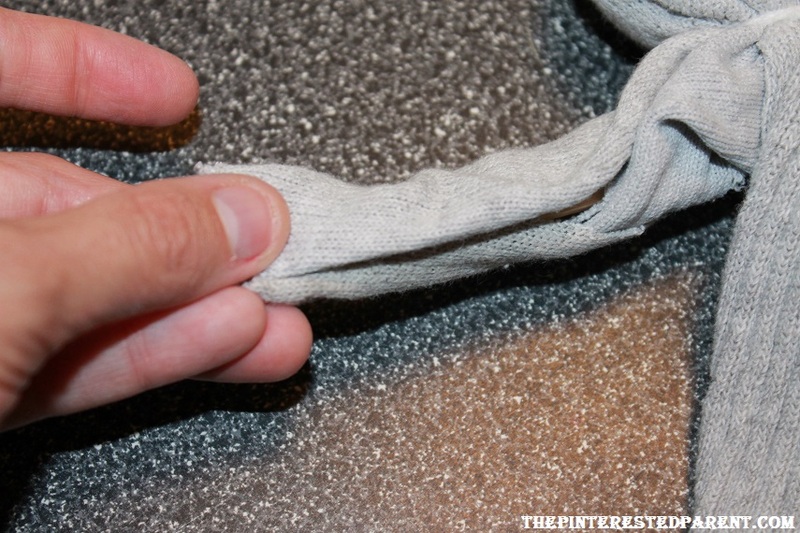 It’s time to dig through my sock drawer & look for more socks with holes. I still have a difficult time showering because my hubby works so much. I have to wake extra early to squeeze one in most times. Mai did like these. She was making growling and booing sounds with them and trying to scare me. Lol! I am in the same boat…. it is tough to get into something other than yoga pants! My hubby works a ton too, I started just bringing my 3 and 1 year old into the shower with me and put the newborn in a bouncy seat. Otherwise, I probably wouldn’t be able to shower between weekends. 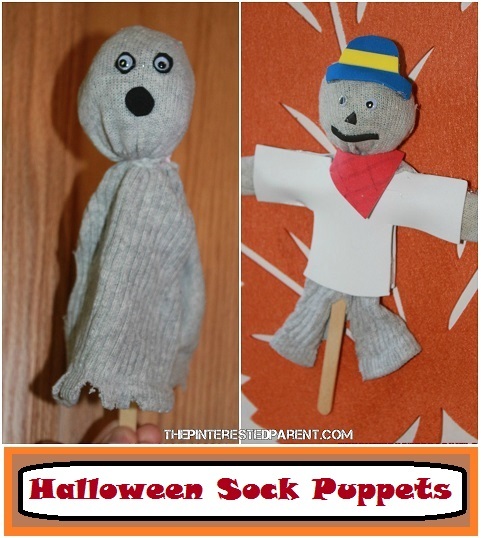 Way to put those old socks to good use!